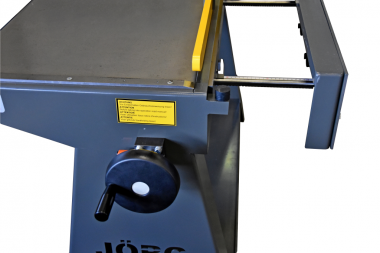 Jörg’s solid lever shears are exceptionally suitable for cutting thin sheet. The lever mechanism is light in operation due to a powerful spring. The absence of a counterweight keeps the machine compact. The back gauge has a range up to 650 mm, is easily adjustable with the hand wheel, and can be locked. 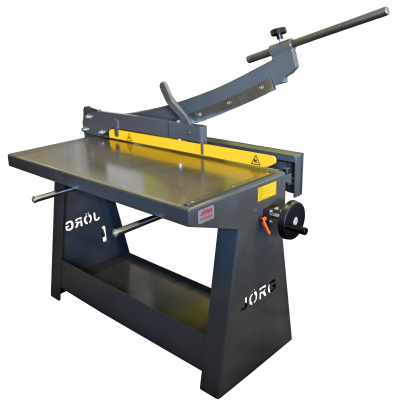 The work table has a convenient perpendicular guide mounted on it for making perpendicular cuts to sheet material. Comes with highquality blades, which retain their sharpness, mounted as standard. 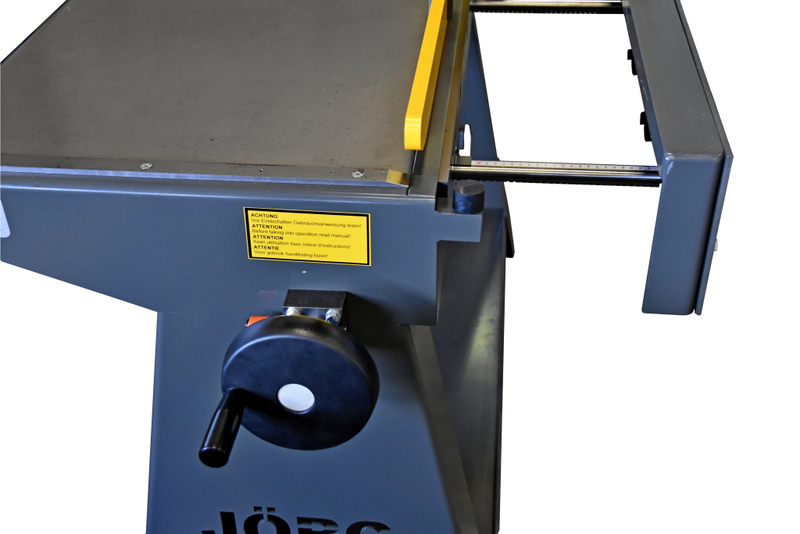 A Jörg machine that has proven its quality and purpose in practice. Throatless shear Manual shear 4111 is a throatless shear, with which long cuts can be made. The sheet is clamped using a manual hold down.